Read 11 customer reviews about CRE Fender Flares & Trim that have an average rating of 4.5 to find out what product is best for your vehicle. 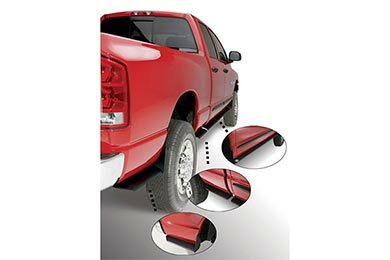 When I came across the CRE Rocker Flares at AutoAnything I thought that they would be a sensible solution to the pitting and scratches I typically get on the sides of my vehicle. I also thought they would add a neat look to my new truck. I Just installed them a few days ago and am extremely pleased with the look and the functionality. I'm not mechanically inclined but had no problems installing these flares. They took me about ninety minutes to install. They seem like they will be very durable and I fully expect them to last quite some time. At this point I am very pleased with this purchase. Reference # 766-172-820 © 2000-2019 AutoAnything, Inc.